The original No Limits Educational Center opened in 2002 and is located in Culver City, California. It is a comprehensive after-school program that serves children with hearing loss from all economic backgrounds in the greater Los Angeles area. Many children come to No Limits unable to recite the alphabet, identify sounds, or even say or write their own names. 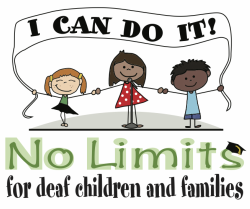 In October 2013, No Limits Educational Center expanded to serve children and families in the greater Las Vegas area. In Fall of 2015, No Limits opened its third Educational Center in Oxnard, California, providing its array of services to the children and families in the greater Ventura Country.